2 Nights Accomodation in Bangkok. 2 Nights Accomodation in Pattaya. 2 Nights Accomodation in Phuket. Half day City and Temple tour in Bangkok on SIC basis. Breakfast at the hotel. Visit the scenic Koh Larn - Coral Island. 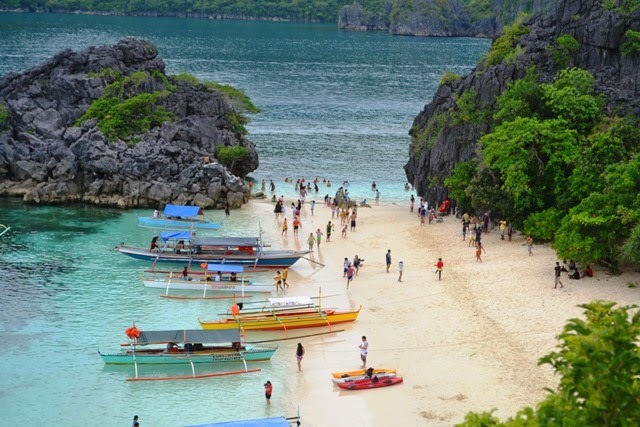 Major attractions viewing coral reefs from glass-bottomed boats, snorkeling, scuba diving, windsurfing, skiing and para-sailing (water sports are optional and can a vail locally). Overnight stay at the hotel. After breakfast, check out of hotel. You will be transferred to the Bangkok hotel.The rest of the day is yours, to explore your surroundings at leisure. This morning you will do a city and orientation tour of historic and modern Bangkok, or the City of Angels as Bangkok is known to the Thai people. The programme includes a visit to the Reclining Buddha Temple (also known as Wat Pho), the oldest of the city temples situated opposite the Grand Palace. The temple is renowned as Thailand s oldest university and there are instructive murals illustrating the finer points of Thai massage which is still taught and practised here. The highlight is the 46 metre long and 15 metre high statue of a reclining Buddha. Also included is a visit to the Golden Buddha Temple (also known as Wat Traimit), located close to Hua Lum Pong, Bangkok s central railway station. The temple houses a 5.5 tonne solid gold Buddha, which was discovered when it s plaster casing broke whilst being transported to its new home. Following this you will be taken to a Gems Factory. Gemstones are mined in Thailand and nearby Myanmar. At the Gems factory you will see their team of experienced artists cut, polish, and set each precious stone to create a perfect and exquisite unique piece of jewellery. This is your day to relax or do an optional tour to the Phi Phi Islands. The Phi Phi islands are located about 48 Km southeast from Phuket or you could do an optional tour to James Bond Island. This famous landmark first found its way onto the international map through its function as the location for the shooting of the James Bond movie "The Man With the Golden Gun". The entire area surrounding this island with its signature rocky pinnacle is indeed spectacular. Overnight at hotel. After breakfast, day is free for leisure and exploring the island on your own. Overnight at hotel. After breakfast, you will be fetched from your hotel and dropped to Phuket Airport for your flight home.